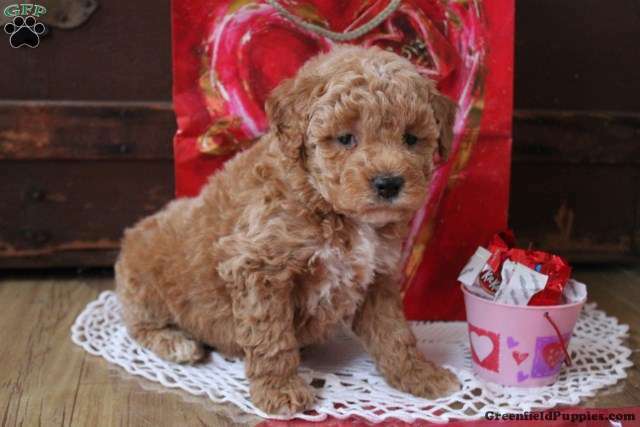 Meet Jeffery, a fun loving F2b Mini Goldendoodle puppy ready to give you lots of puppy kisses! This delightful pup is vet checked, up to date on shots and wormer, plus comes with a health guarantee provided by the breeder. To find out more about Jeffery, please contact Aaron today! These adorable little fluff-balls are family raised, well played with, and socialized. Shots and dewormer are up to date and they have been vet checked. The mother is a 22 lb. mini golden doodle. She is a family pet and is an excellent, loyal companion. 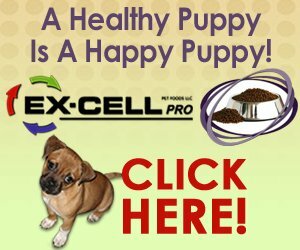 These happy, darling puppies have a great personality and are very quick to learn. They will make outstanding pets and playmates for your children. 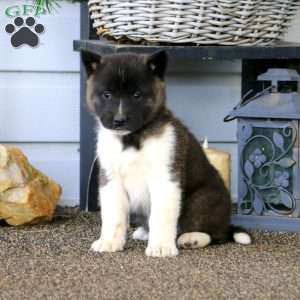 Ready for a new loving home on February 21! 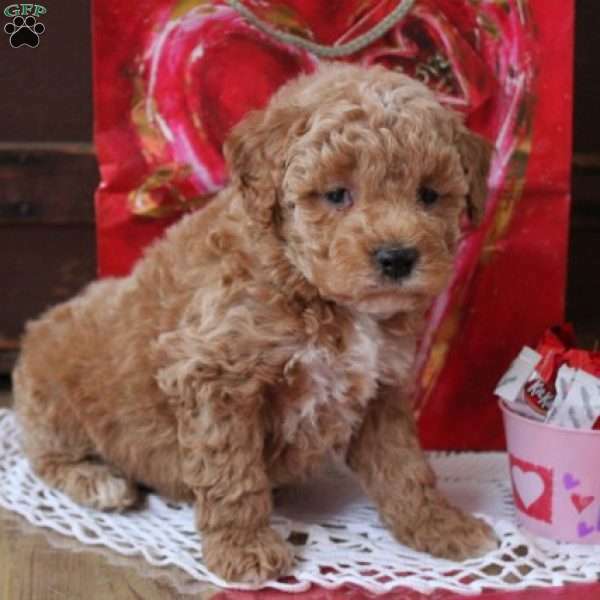 Aaron Beiler is a breeder located in Dillwyn, VA who currently has a cute litter of Mini Goldendoodle puppies. These great pups are vet checked, up to date on shots and wormer, plus comes with a health guarantee provided by the breeder. To find out more about these charming pups, please contact Aaron today!